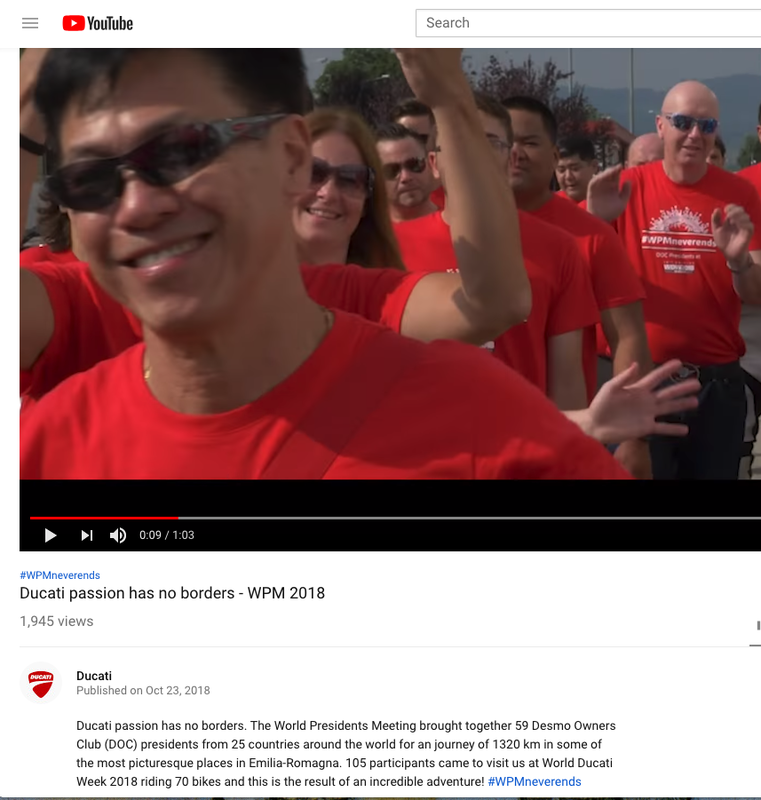 This summer, I had the incredible experience as the President of Gotham Ducati, NYC's official Desmo Owners Club, to participate in the 2018 World Presidents Meeting, a gathering of 59 Ducati Owners' Club Presidents from across the world meeting up in Italy to celebrate the Italian brand. The trip was one of the greatest experiences of my life, and I'm lucky to be an ambassador for the Ducati brand. I just noticed the official video went live a couple weeks back, and you can see me peering out at about the 9 second mark of this awesome videography of the journey.